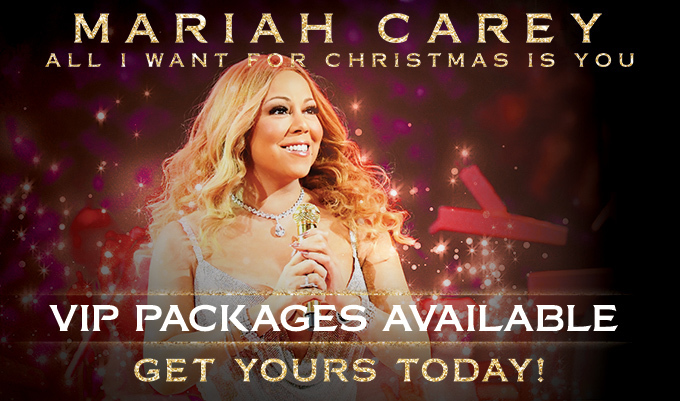 We are pleased to announce that official VIP Packages for Mariah's "All I Want For Christmas Is You" concert series are now on sale! Select VIP packages include access to "Mimi’s Lounge" with complimentary drinks, appetizers, a welcome toast and a DJ playing Mariah’s biggest Hits. Packages will also include exclusive VIP merchandise and vouchers redeemable in the Mariah Carey Online Store. Limited number of VIP packages are being offered for each date, so book your package now! Click here for inquiries regarding VIP Package offers.